When your kitchen looks drab, you don’t always need to spend a fortune to give it a facelift. There are several ways to transform the look of your existing kitchen on a budget. 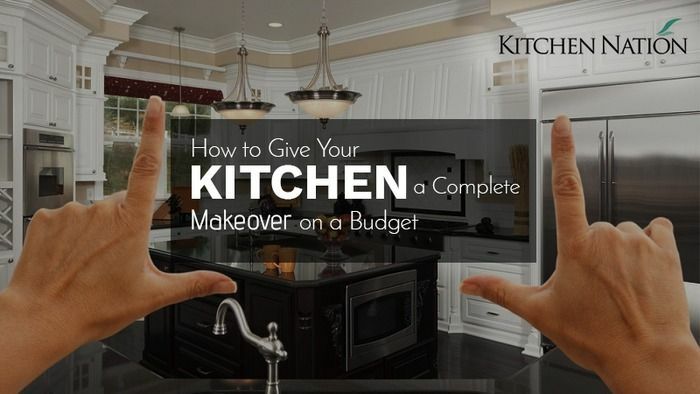 However, you need to have a plan and some creativity to give your kitchen a quick budget makeover. In today’s post, we’ll share some useful tips to help you refresh the appearance of your kitchen. Backsplashes protect kitchen walls from water damage and oil spills. Replace your old backsplash with a trendier looking variation. Tiles are a good option to consider when you have a limited budget. Choose a bright colour with interesting patterns, such as penny, mosaic, or brick, to enliven your overall kitchen. You can also experiment with the size of the tiles instead of choosing standard sizes. Select the finish according to your aesthetic preference and budget. When you don’t have the budget to replace your kitchen cabinets, painting them is an affordable and simple way to create a fresh look. Choose a colour from the latest colour trends complementing the colour scheme of your kitchen to paint the cabinets. Some of the trendy options are teal green, mint green, sage green, marine blue, pale pink, black, and white. Wallpapers are an economical way to add colours and patterns to your kitchen beside paint. Feature walls have a high impact when it comes to transforming the look of any room. Create a feature wall in your kitchen with wallpaper to achieve a stunning look. Choose the colour, texture, and patterns of your wallpaper carefully so that they complement the rest of your kitchen decor. To achieve a gentle look, select soft shades and muted patterns while select bold patterns and contrasting colours to make a statement. Also, make sure that you include the colours of your wallpaper in some of your kitchen elements like accessories and furnishings. This is essential to make your feature wall a part of your cohesive kitchen design. However, purchase wallpapers that are specially designed for the kitchen because it’s important that they’re steam and heat resistant. This is one of the simplest and easiest ways to spruce up the way your kitchen looks when the basic structure is in good condition. Replace all old hardware from your cabinet doors and drawers with stylish pulls, bars or knobs. If the faucets in the kitchen are outdated, replace them too with new sleek ones. If you don’t have the budget to replace your existing kitchen countertop, updating it can instantly change the visual appeal of your kitchen. There are different options such as applying paint, covering with tiles, metal, wood or installing butcher block to update old countertops. Take cues from these suggestions and try some of these changes in your dated kitchen with the help of kitchen renovation experts. 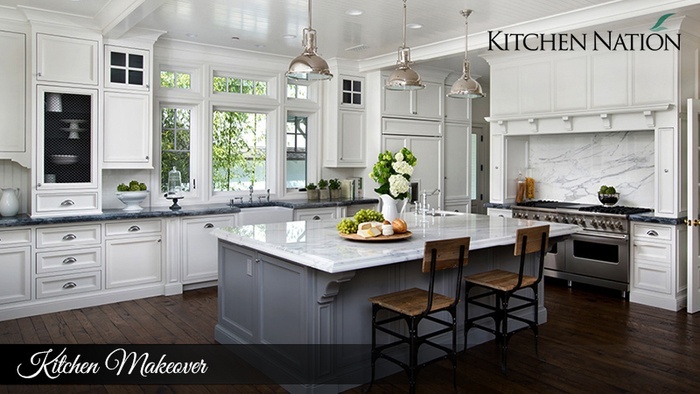 If you’re looking for high-quality kitchen renovation service in the Greater Toronto Area at best prices, contact Kitchen Nation. We have more than 20 years of experience in the interior design industry. Request for a quote today!